A lot of time is spent in the kitchen, but not all of it is spent on cooking or eating. 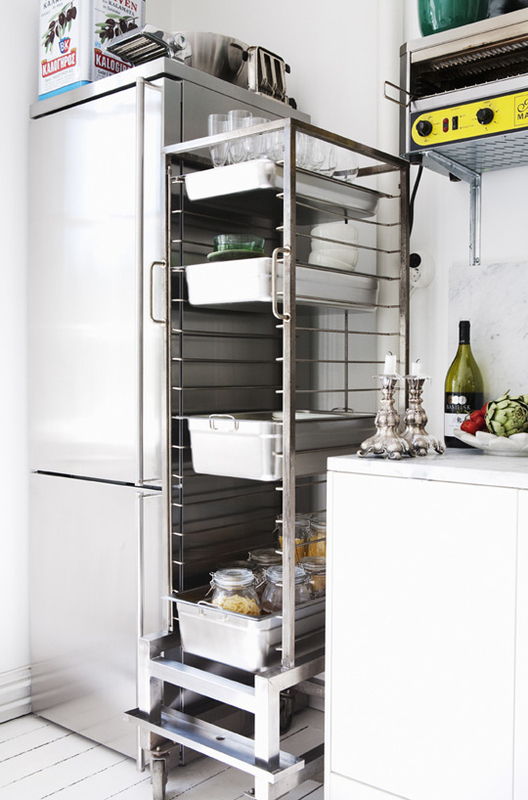 Most of the time is absorbed by cleaning, organizing and searching. 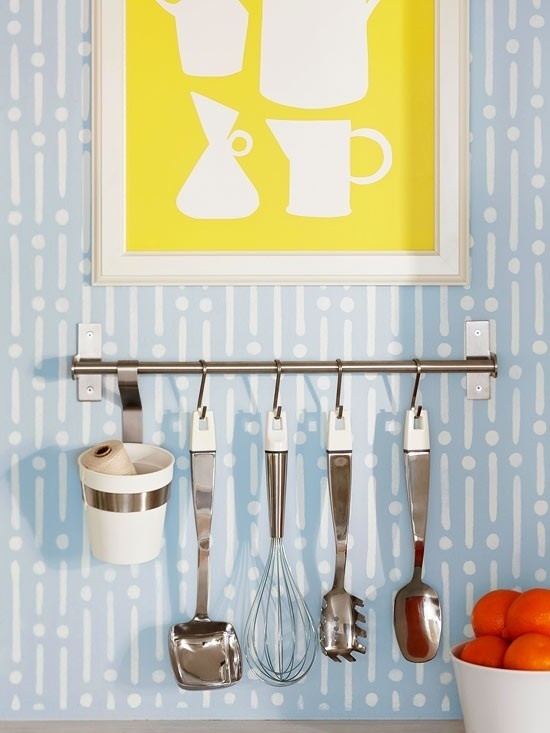 Here are some easy ways to make your kitchen a little easier to manage. 1. 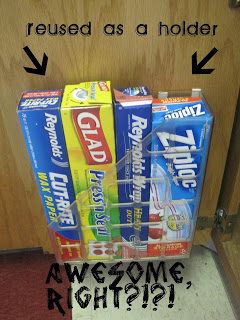 Thin boxes can be stored in a magazine rack. 2. 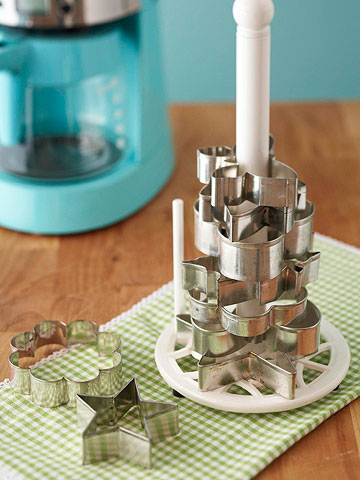 Organize cookie cutters with a paper towel dispenser. 3. 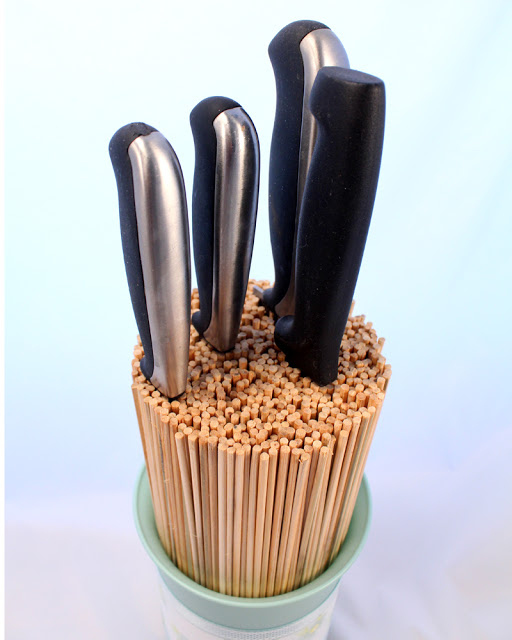 Store knives safely in bamboo skewers. 4. 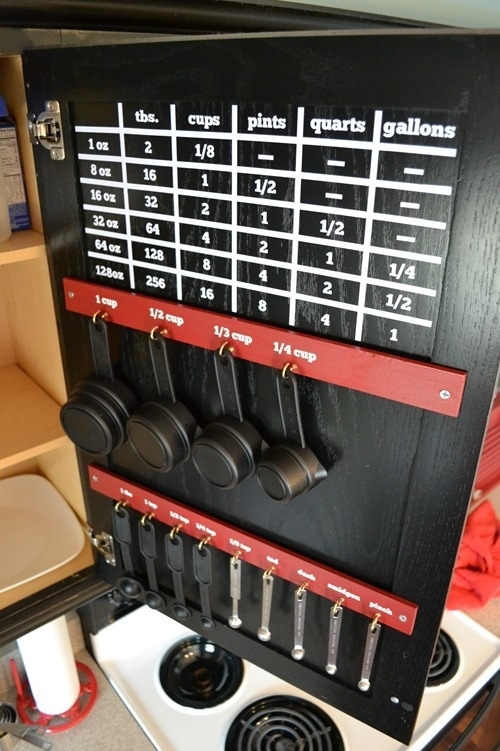 Organize measuring cups inside a cupboard door. 5. 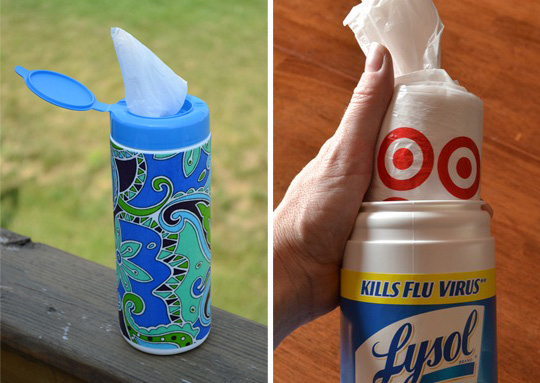 Store plastic bags in an empty wipes container. 6. Cleaning supplies can be hanged on a tension rod under the sink. 7. 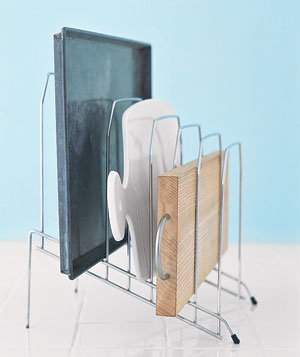 A desk organizer is good for organizing cookie sheets and cutting boards. 8. 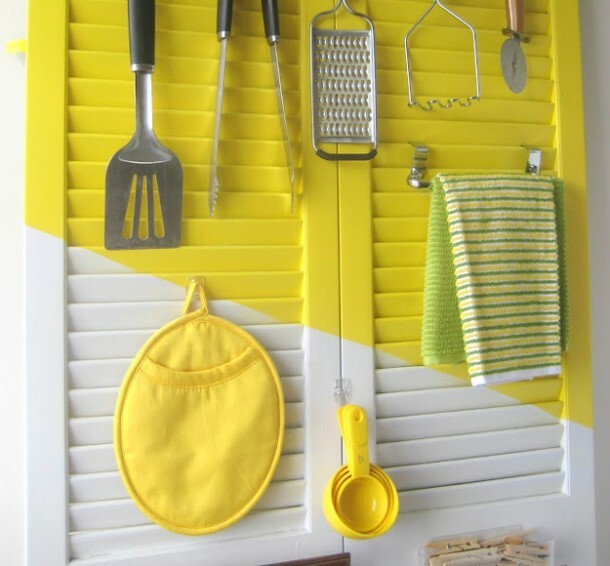 Utensils and cloths can be arranged on shutter doors. 9. 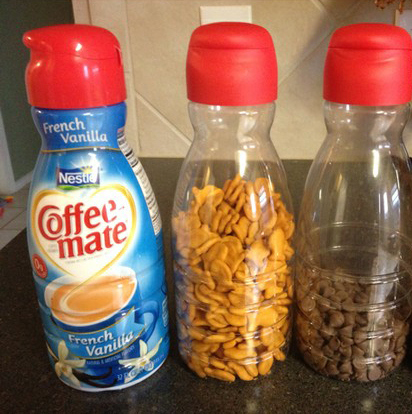 Small snacks can be stored in coffee creamer containers. 10. Plastic bags can be sealed with the tops of plastic water bottles. 11. 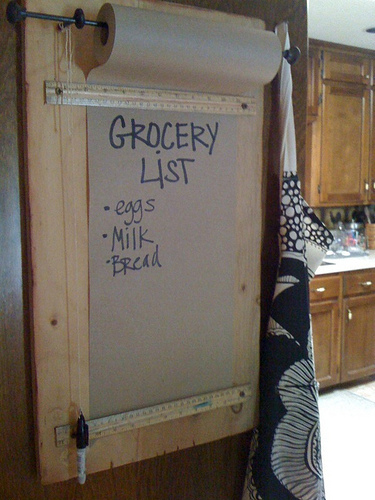 A roll of brown paper makes an infinite amount of grocery lists. 12. 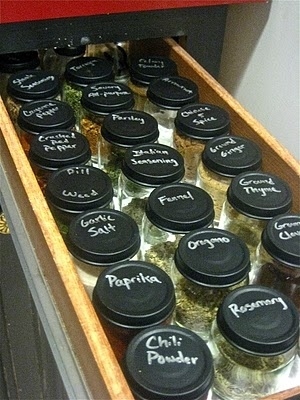 Create chalkboard-paint lids for your spices. 13. 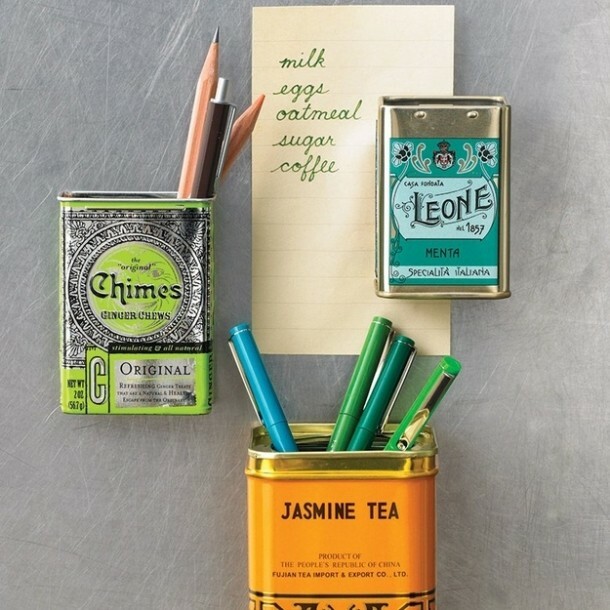 Place a magnet inside a metal canister to make an easy to reach pen holder. 14. An old rake makes an incredible wineglass holder. 15. 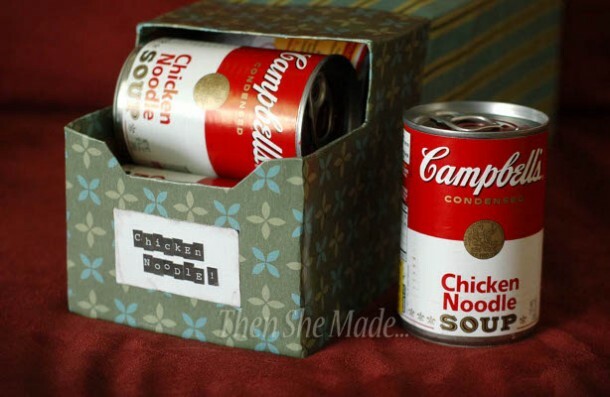 Soup cans can be stored in empty soda boxes. 16. A restaurant-style disk rack gives you a lot of extra storage. 17. 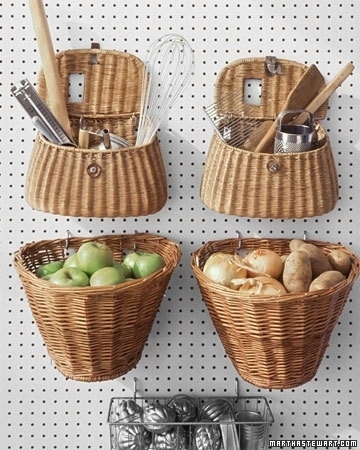 Peg boards are great for hanging extra utensils and overall storage. 18. Hang utensils on a rod. 19. 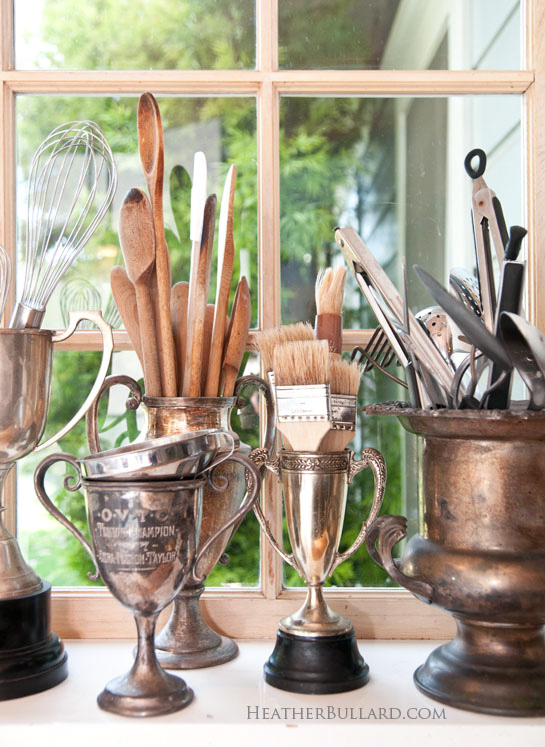 Vintage trophies make great utensil holders. 20. 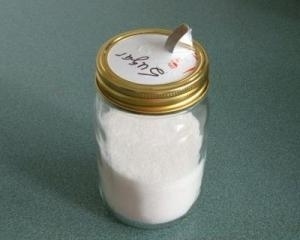 The top of a salt container can provide spouts for your jars. 21. 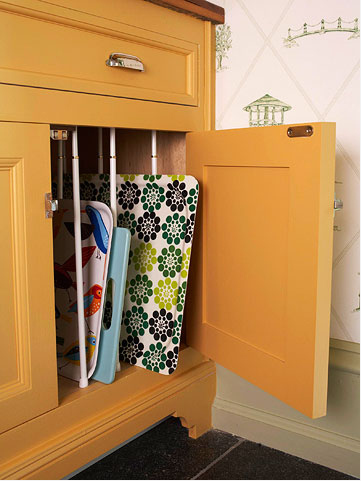 Vertically placed tension rods can keep cabinets neat. 22. 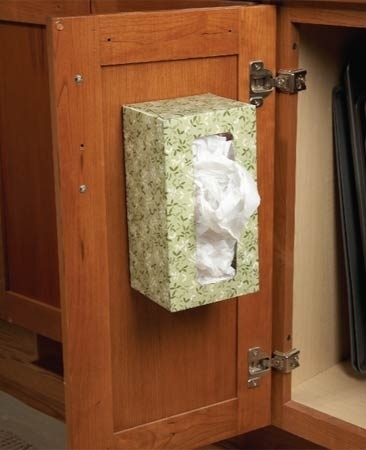 Thumbtack a tissue box on to an easily reachable cupboard door and keep it for plastic bags. 23. 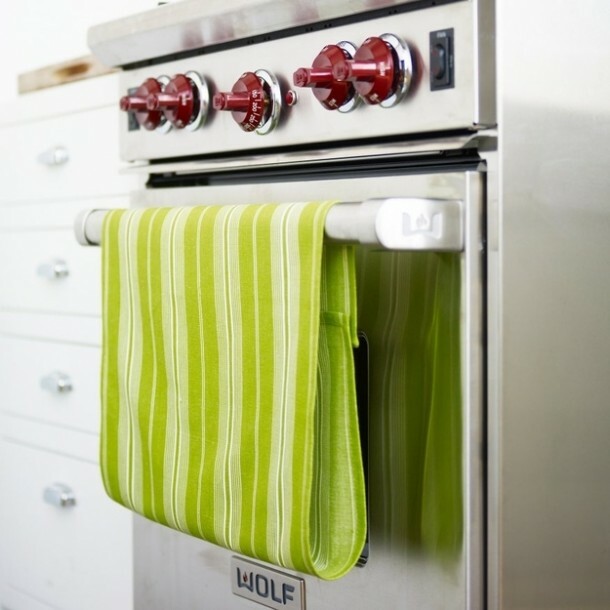 Add velcro to dish towels so they don’t slip off. 24. 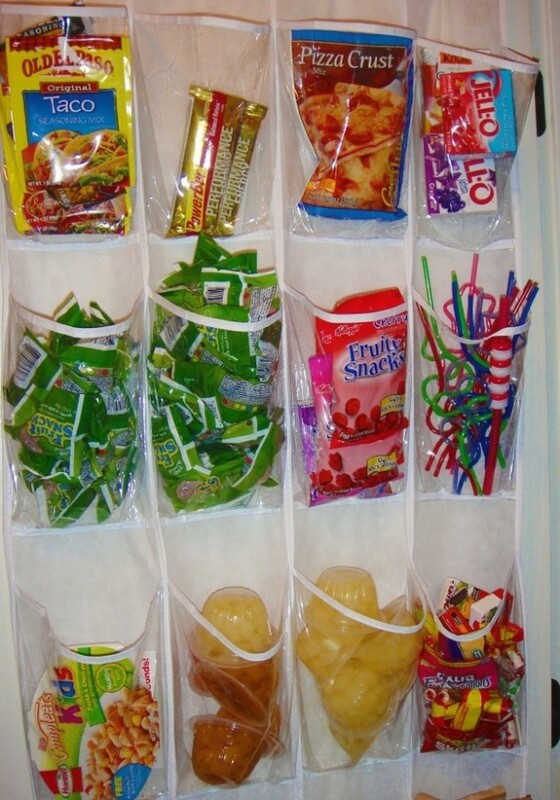 Shoe holders can be used to hold snacks.